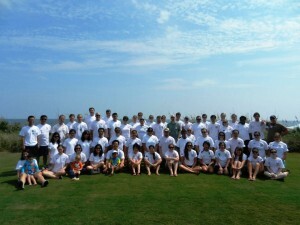 Recently, folks attended the BIAC retreat at Wrightsville Beach, NC. This is a nice mix of science and recreation — check out the pictures. Click to watch the panel discussion with Mr. Alda. 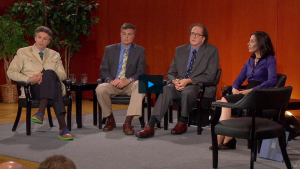 Recently, a panel of experts at Duke, including Dr. Huettel, was featured on a special discussing PBS’s “Brains on Trial,” hosted by Mr. Alan Alda. This two-part special looks at the conjunction of neuroscience and our legal system. In the special, Mr. Alda and the panel of experts discuss a number of topics, including the reliability of eye witnesses and polygraphs in court cases; fMRI techniques used to try and predict people’s behaviors and choices; and the permissibility and legal implications of using these neuroscience techniques in future court trials. Also, take a look at the question and answer discussion that occurred after the panel discussion.